That childlike confidence, stepping out without a care in the world. 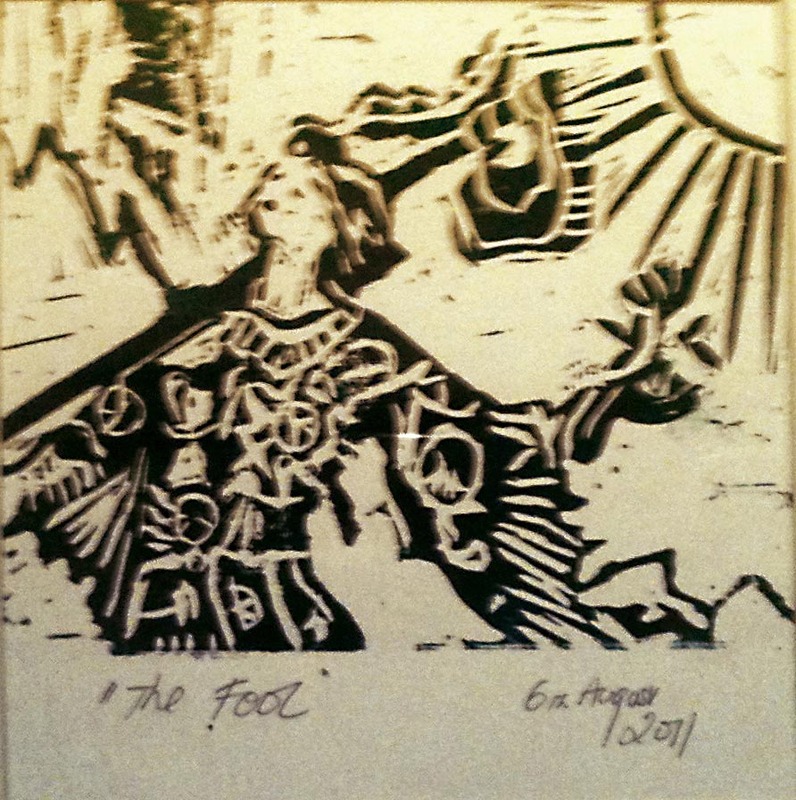 The Fool, the archetype thats take the the hero’s journey through the numbered cards of the Major Arcana. For me these represent the journey we all embark on, its called “Life”. Guess this is the big picture, but within this inevitable cycle of birth, death and rebirth, that keeps turning, there are many smaller “wheels” many deaths. We need these deaths to give space , we have to let go of things that no longer serve us, all the areas of our life where “we do” just out of habit, or some preconcieved thought processes that we may have adopted from out parents limiting belief systems. Their comes a time when you wake up, enough is enough ! suddenly there are new possibilities, new challenges on the horizon that are beckoning………. I am so excited, I feel like this child like person embarking on a magical journey, not knowing what to expect, taking that leap of faith. I know too it will have its challenges, just as in life but now I know how to be in the flow of life, not resist, to accept “what is” and left life unfold in front of me. Yeah You! I have been following your blog for over a yr. sorry i’ve never commented but truly have enjoyed your posts. Art therapy has also been an interest of mine but havent been able to attend program in my state. I am thrilled for you and hope i can find out more vicariously thru your posts…i bet it will be of interest to many as your creative self blooms in this direction.